A meeting was set up for all the parties interested in The Ogopogo Project including Dean Sandeson, Dr. Lionel Phelge, Kyle and the rest of the university students, Ryan and Monique and Blake Riley. On a Friday afternoon they met in the university’s main conference room. “Thank you all for coming,” said Dean Sanderson who was chairing the meeting. Today’s session will be mainly an exploratory meeting with the purpose of defining what our goals are for this project and how, in a practical way we might obtain them. I will ask Dr. Phelge to describe how he envisions the project. “ As some of you already know I have been granted a year’s sabbatical to write a research paper on a topic of my choice related to marine biology. 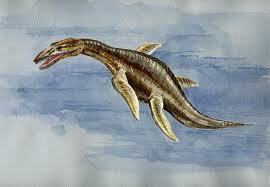 I have long had an interest in cryptozoology and a particular interest in the creature known as Ogopogo. I am hoping to gather some data that has previously never been published that would help determine whether or not this animal actually exists in Lake Okanagan,” said Dr. Phelge. “Well, to tell you the truth, sir, our original aim was to come up with a story that would be of great interest for publication in the university’s newspaper. We have noticed that there is a great need for some articles that would be of interest to the student body,” answered Kyle. “My new friend, Monique and I had a recent sighting of Ogopogo. We had just met and were out for a jog when we saw Ogopogo in the lake. Monique was able to take two pictures of the creature with her camera. Unfortunately, the photos were taken from a good distance and would never be considered as positive scientific evidence,” said Ryan.